Playing for Success…but not for long. Yesterday evening I was the guest of honour at a Playing for Success (PfS) award ceremony. I expect you’ve heard of Playing for Success. No? It’s another superb programme that supports children’s learning and development and has got the thumbs down from the government. Funding ends in March. PfS uses top flight sports venues such as premier league football stadiums as after school study centres. PfS is not about sport but uses the discipline that sportspeople have as inspiration to support children in their basic literacy and numeracy skills. Pupils also brush up their ICT and develop their team work, personal and study skills. Pupils from a local secondary school give up their own precious free time to mentor the younger pupils. At the event I attended, I handed out certificates and prizes to children from four local primary schools. The kids who attended the study centre after school were supported by their very proud parents. The venue is a world famous centre for sporting excellence and is more than generous with their time and support too. They provide food and drink for the event, a representative speaker and free use of their amazing facilities. They organise for famous players to speak to pupils and provide prizes and support to the programme. It’s the second time I’ve presented prizes at this event and I always feel so impressed by what the pupils and their leaders have achieved. In my speech I acknowledged their hard work and gently reminded the families in attendance that with government cuts biting deeply, we should take advantage of the excellent services we currently enjoy. While we hear about the major cuts in the national media, it’s the smaller cuts to children’s services that I think will really harm the chances of state school educated children. And when people describe public sector workers as feckless, lazy and parasitic, perhaps they’d like to see the committed, passionate and energetic staff members that I work with. Not all of us push papers around. Playing for Success: funding ended. School Sports Partnership: funded ended. 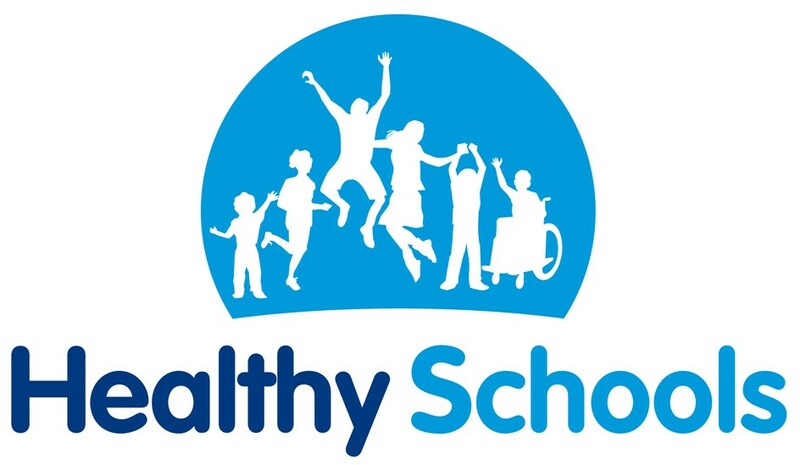 National Healthy Schools Programme: funding ended. Happy Christmas and a prosperous new year? Health Secretary Andrew Lansley has invited fast food chains and huge food corporations to be involved in developing public health policy. So the soon to be revealed public health white paper will be written by people from KFC, McDonalds and Mars. Brilliant idea! It’s like putting la cosa nostra in charge of policing organised crime and hoping they’ll bring themselves to book. Perhaps our new five a day will be one portion each of chocolate, crisps, chips, cigarettes and coke (either variety). Obviously it’s important to liaise with these food giants and to get them on board but do we need the tail wagging the dog? Their interests lie in making money, not the health of the nation. Sure, these companies might include healthier choices in their ranges but all of them specialise in the stuff that makes us fat, clogs our arteries and send us scuttling up the walls in a sugar rush. We adults can make our own choices but what about children? The government may be working on their health policy but they’ve carefully omitted to tell us about the cuts in funding to two really successful programmes that support children’s health at school: the National Healthy Schools Programme (NHSP) and the School Sports Partnership (SSP). The same is true of the SSP whose goal was to get all school children doing at least two of hours PE per week. That may not sound like a lot but given the heinous state of state school PE a few years ago and the crammed timetable, it’s been a slog getting to this point. Again, each LA has a coordinator and secondary and primary schools work together in clusters. The range of sports at schools has increased, competition is back on the curriculum and all children- regardless of their ability or inclination- get excellent coaching and teaching. There has also been funding for sport facilities including all-weather pitches at secondary schools. The funding for school sport has been withdrawn only a year before we host the Olympics. Embarrassing isn’t it. I never understood why the previous government didn’t shout about these two programmes from the rooftops. Huge strides have been made in children’s health in schools in the last few years but there is still a long way to go and cutting funding now is ridiculous. We still have problems with obesity, teenage pregnancy, alcohol misuse and gang crime among our young people. Sexual bullying is on a frightening upward trajectory and knife crime is yet to be fully tackled. Yet I haven’t read a word in the national press about either the NHSP or SSP going and I’ve not heard a peep from the government either. Perhaps if we all keep quiet noone will notice. So I look forward to the new public health proposals with interest and can’t wait to see how the government intends to tackle our problems before we clog up the NHS even more. But in the meantime it’s time for lunch. Now, where’s the nearest government- approved chip shop?